Powering an electronic device is a challenge. Depending on the end user case you may want to use batteries. In some cases, plug it into the wall. Either way there are drawbacks and advantages to either solution. In this article, I dive into the most used methods of powering electronic devices. That way you can make an informed choice and move onto the hairier problems that you’re working on. Ahh wall power. How I long to use thee. Wall power, as you soon will see, is the embedded engineer’s crutch. It makes designing an electronic device easier but does raise the cost of goods sold. Here are some pluses and minuses of using plain ol’ wall power. An external wall adapter is easy to integrate. It only requires protection circuitry, regulation circuitry and the wall connection jack. It does not need maintenance like a battery application would. Plug it in and go. Power adapters are more costly versus an initial pair of batteries. If the power goes out, so does your electronic device. This is not a problem in America but could be a problem in third world countries. If grid power at the install site is not reliable, you should design your device with a fallback. For most applications though, this is a non-issue. Power adapters rectify the incoming AC voltage. Then, it uses switching to lower that voltage to supply your electronic device. The switching nature of these devices creates noise which could affect your circuits. Extra engineering may be necessary depending on what your electronic device circuity does. Electricity from the wall is a “cheap” way of powering your device. It allows your engineers to focus on functionality rather than saving power. 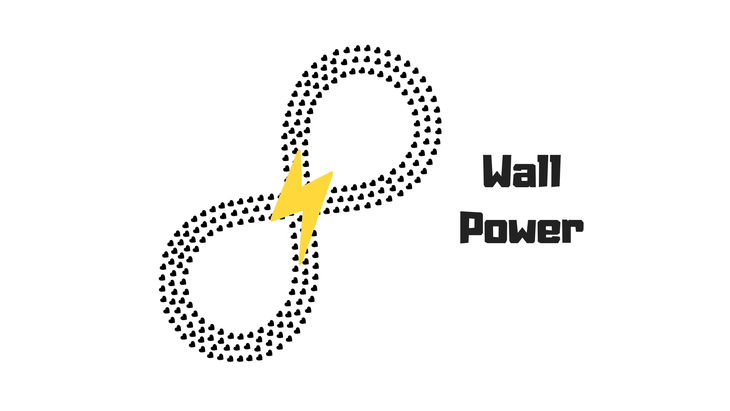 If you do find yourself with the choice to use wall power, don’t hesitate to use this solution. 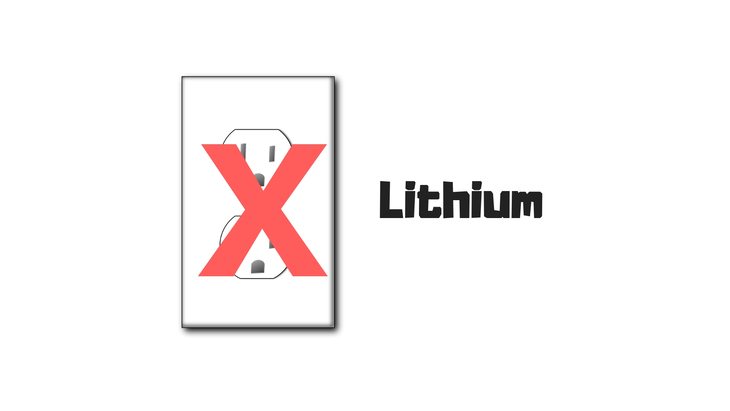 If wall power is not an option, your next best option is lithium primary cells. These cells take on a similar form compared to alkaline batteries. They are often interchangeable. Cameras use these batteries because they can source enough current for the flash. That’s why you can usually find them in the camera section of your local retailer. Lithium coin cells are technically an option here. They aren’t a good option if your device requires high currents. Don’t expect these batteries to power your wifi device! Lithium primary cells last years even with self-discharge. They outperform lithium polymer batteries by a large margin. That makes them a good choice for Internet of Things devices. 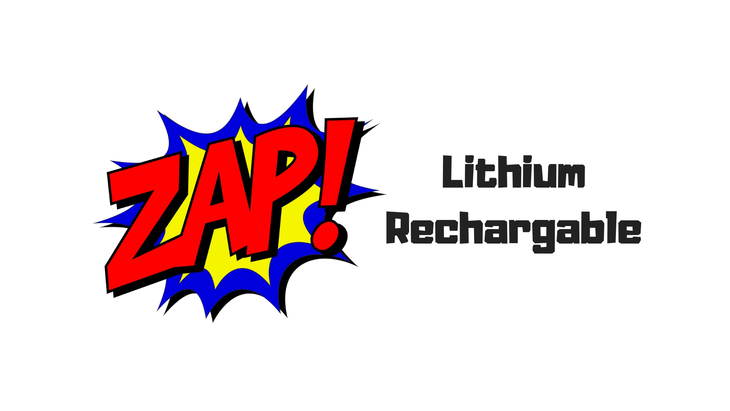 Most lithium primary batteries have the ability to source lots of current. That way you can add LTE or Wifi to the device and still get decent battery life. One caveat is Wifi or LTE application does need optimization. Without optimization, expect a short battery life. I’ll touch on this below. The battery contacts and the housing where the battery lives adds cost to your device. These batteries are inherently replaceable. Your team would have to engineer a way to make the batteries removable. This adds complexity, sometimes more parts, and cost. Primary cells have a limited capacity. Thus, make sure you optimize your device’s circuity and firmware. This takes both engineering time and testing. Both of those things cost money. That’s why plugging a device into the wall is much more enticing. Lithium primary cells are more expensive than alkaline batteries. They are also harder to find at the store (usually in the camera department). All lithium batteries cannot use air freight. This increases lead times and could cause headaches. When your project is on a tight deadline, make sure to document this risk before work starts. More on this when we get to lithium polymer batteries. Lithium primary batteries are gaining popularity. I’ve used them quite extensively for the last few electronic devices i’ve designed. They do have drawbacks but they shine for long term IoT deployments. Alkaline batteries are still king as of 2018. They are cheap and found everywhere. 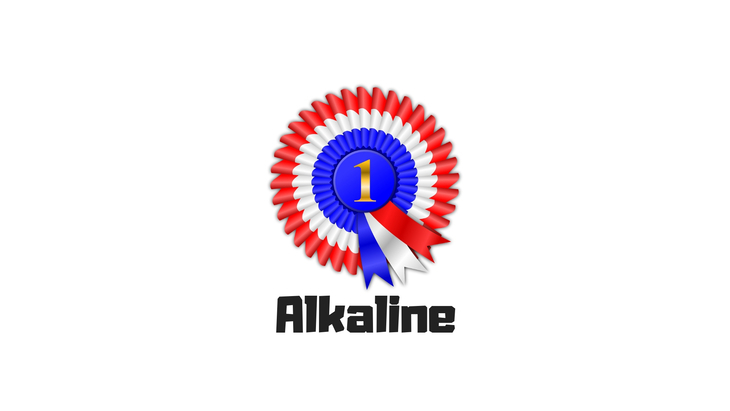 If your device doesn’t require high currents, look into alkaline primary cells. Speaking of high current, these batteries do not support LTE CAT-M and Wifi. The only exception you place many cells in parallel to handle the high currents. They are still suitable for lower current wireless protocols like Thread and Bluetooth. This is the same as lithium primary cells. i.e. The battery contacts and the housing where the battery lives adds cost to your device. User serviceable parts not only adds cost but it leaves room for user error. Plus, this adds more engineering time and requires more testing. This drawback is similar to the lithium primary cells. Each battery has a limited amount of charge it carries. You and your team need to optimize the firmware code and electronics to us as little energy as possible. When designing with batteries, look into alkaline before jumping to lithium batteries. They’re proven and will always serve you well! You can find rechargeable lithium batteries in everything from toothbrushes to cell phones. And it’s no surprise, those things either have motors or electronics to make things go. Without the modern rechargeable battery we would be lost! These types of batteries are easy to find and source. Companies in China, Japan, Korea, and Taiwan manufacture these batteries. China though is by far the most common producer of these batteries. This makes using the device easier for the customer and easier for you to design. (Win-win!) Plus the ease of design and manufacturability reflects on the cost. The main drawback of having a rechargeable lithium battery is the complexity. These batteries require charging circuits, protection circuits, connectors for the battery. Plus a connection to the charging source is needed. Also, as important note, some areas of the world require you to test your device for safety. I’ve had my fair share of product testing adventures to say that testing for safety is no joke. I recommend hiring someone on your team who has experience leading those efforts. Shut an iPhone off, not use it for a few weeks and try to turn it on. It’ll likely be deader than a doornail. This is self discharge at work. You shouldn’t use this battery if you need a high reliability long term solution. These days battery companies engineer lithium batteries to withstand puncture without causing harm. Lithium polymer batteries do release a toxic gas when punctured. You don’t want to breathe it in! As you can see, lithium batteries can be volatile. That’s why lawmakers now prevent the transportation of lithium batteries via airfreight. Here’s a summary from UPS about these regulations and how they’re handling them. Despite their drawbacks, lithium polymer batteries have wide adoption. Companies of all sizes use these batteries in their electronic devices. I’m talking about little startups and companies like Apple. If they think it’s a good idea, you should to. For the rest of this article I’ve included atypical ways to power your electronic device. These options require more engineering or they cost much more. Despite these flaws, they are great options for special cases. Thermoelectric generators create electricity from a difference in temperature between its two sides. This difference in temperature causes the charge in the material to move from the hot side to the cold side. Thus, electricity is born! Reliability is important for electronic devices. 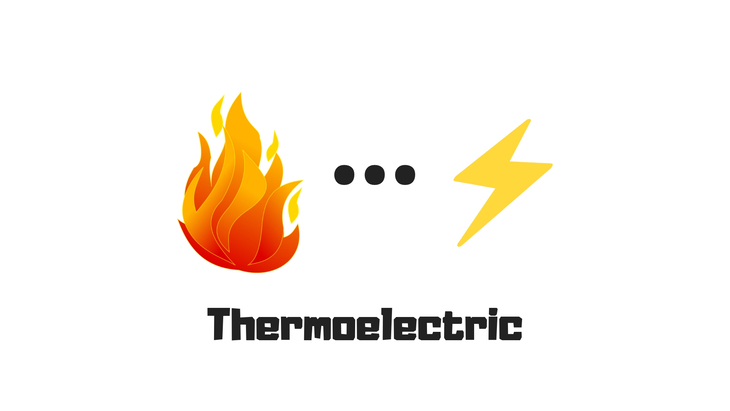 The reliability of a thermoelectric generator is no different. Quality thermoelectric generators can operate for 200000 hours on average before failure. 200000 hours! That is though, if you have a source of extreme heat or cold..
A thermoelectric generator requires a difference in temperature to work. If that temperature difference gets too hot or goes away you’re sunk. At that point I imagine you have bigger problems to deal with. Your device itself will likely be near a heat/cold source. It will stress your electronics. It will break things unless you prepare for it. Running the device in an environment capable of going to the extremes is one way to test. Electronics respond to different temperatures. When the temperature of an integrated circuit goes higher it often uses more current. The opposite is true for cold temperatures. The extremes are where things break. Test it and you’ll be alright! Around $16 for one unit. Yikes! Not only that but you will need to find a way to fit this thing into your product. I imagine in most cases the enclosure is built around the thermoelectric generator! If you are designing for an environment where a thermoelectric generator may work, give it a try. It will be a reliable source of electricity that could last for years if not decades. There is a ton of hype around solar. Solar shines (😉😉) for remote deployments where access to electricity is not possible. It’s not perfect though. There are some drawbacks that I will describe below. Energy from the sun is free, so why not take advantage? Solar panels are only 10% efficient at best. Even so, they can still provide enough power to keep low power electronics going. 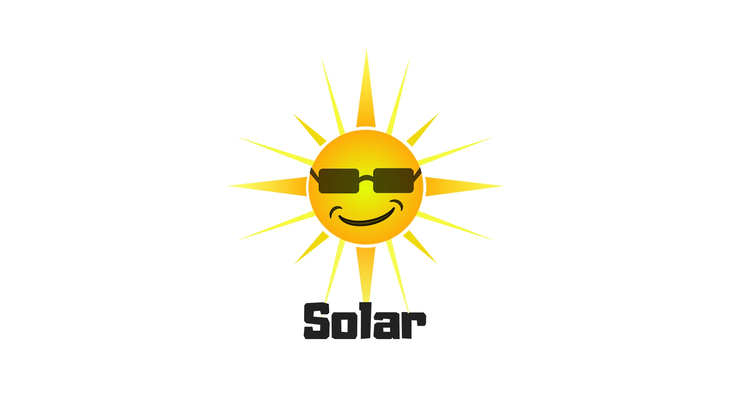 The sun bombards the earth with harmful UV rays. Over time, UV can destroy almost everything. They even destroy solar panels despite many engineers attempts to make them reliable. After a long life of use, expect the need to replace a solar panel. In an ideal world, the panel lasts as long as the product your designing. If not, you may find yourself out in the field replacing solar panels. Then, back again when everything stops working. Reliance on the sun is a double edged sword. When you have it, everything is awesome. When you don’t, the world is falling apart. One way to mitigate this problem is to add a battery. This adds both complexity and cost to the design. Speaking of costs, a solid solar panel is not cheap. If you want your device to work at night you need a battery. Plus, if you want a battery then you need the supporting circuitry. As you can tell, things can get complicated fast. Here’s a screenshot from some Amazon listings. These are consumer grade panels. The pricing is a good indicator that solar is not a cakewalk. So, for solar, If you put it in the right environment, you’re device will be happy as clam. If you deploy into an area that doesn’t get much sun, expect the need for a large panel and battery. Consider it a tool in your toolbox the next time your designing an electronic device. I took this video at Computex in Taipei two years ago. An Israeli firm designed this technology. It uses an infrared beam to transfer the energy from the device in the ceiling to the receiver on the train. It was cool to see but this particular technology is costly. There are all types of alternatives that have viability. There’s also a company designing ICs that harvest RF energy as well. I’m not 100% sold on the technology. The idea of filling the air with more RF energy is scary. We have yet to understand how RF energy affects us humans. Thus, less is better! As long as your source is running, your device has power. There is no need to replace batteries or charge via a cable. Whether it’s IR energy or RF you need a source. Transmitters themselves require power and could be costly. I alluded to this earlier. This technology is not mainstream. I wouldn’t suggest it for production unless you weigh the pros and cons of other solutions. This technology is expensive and also requires you to have energy storage in your device. This energy storage comes in the form of a battery or super capacitor. In summary, wireless energy does exist but it’s not quite ready for wide adoption. I look forward to playing around with this technology in the future. In the meantime, it’s batteries for me! This has been a looooooong post. So thanks for stick around! Here’s a gold star: ⭐️ We’re almost there! Super capacitors are not a way to receive energy but they’re a great way to store it. You can use many of the technologies above to feed a super capacitor. When the energy source is temporarily disabled, your device will continue to run. Super capacitors are maintenance free. There’s nothing to replace. They do require an external energy source so they can be periodically charged. Super capacitors are not perfect. They do degrade over time especially because of high heat. This reduces the capacity or renders the super capacitor unusable. I alluded to this earlier. You need a charging source to fill the super cap when it’s discharged. This can be a solar panel or energy harvesting circuit of some kind. Super capacitors are not as energy dense as lithium polymer batteries. You need to take special care in designing both the firmware and electronics of your device. If you do not optimize for power savings, your device will not last very long using a super capacitor. Super capacitors are expensive. My favorite capacitors are manufactured by AVX. AVX offers versions which work well with high voltage sources. They’ve worked fantastically in the case where I have two lithium primary cells in series. That way there’s more bulk capacitance to handle large transient current spikes. A super cap may cost anywhere from 5 to $10 in single quantities. For cost sensitive designs, this breaks the bank. In conclusion, super caps are like many of the other technologies in this section. They are tools but not end-all be-alls. 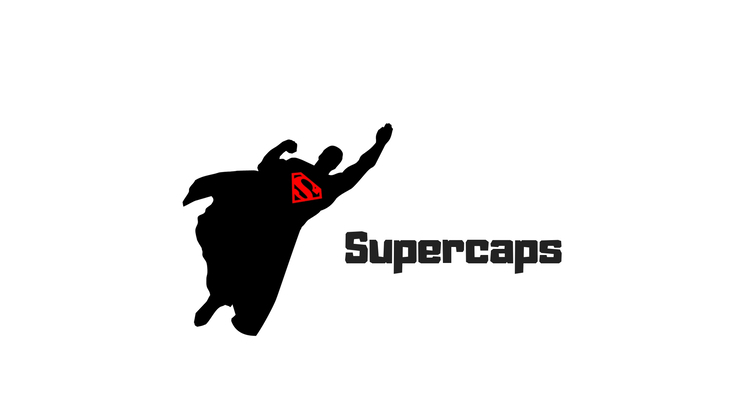 Consider super caps for energy harvesting applications. Also, keep them in mind for applications that need stable battery voltages. There are a handful ways of powering your electronic device. Some come with great costs. Some are cheap but require maintenance. Every device design is different. It’s reassuring though there are various ways to power them. If you want to keep learning about these technologies subscribe to my free email list below. I send out periodic updates and actionable tidbits that help create electronic devices. That way you’re always in the know. What’s your biggest takeaway from this post? I’d love to hear from you in the comments below. Thanks again for reading!